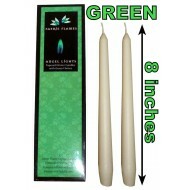 Green flame tapered candles ..
Orange Flame Tapered Candles .. 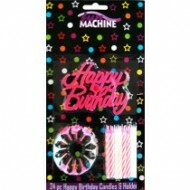 Happy Birthday Candles & Holders - Pink (24pk) .. 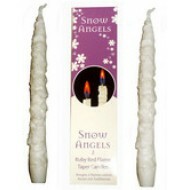 Pack contains 2 snow angels candles which have a ruby red flame when lit. 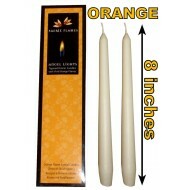 These taper candles burn f.. 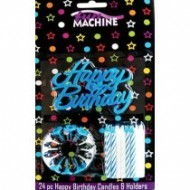 Happy Birthday Candles & Holders - Blue (24pk) ..
White Glittery Stripped Cake Candles (12pk) ..
Metallic Gold Spiral Candles With Holders (12pk) ..
Metallic Silver Spiral Candles With Holders (12pk) ..
Baby pick candles. 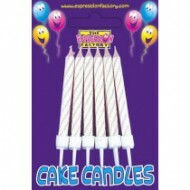 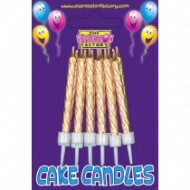 Pack includes 7 x candles which include: 1 x rocking horse, 1 x yellow duck, 1 x ..